Dr Daar began practicing dentistry in 1982. Like most Dentists he made the occasional snore guard at the request of a patient whose spouse or sleep partner couldn’t put up with the noise. In recent years and numerous continuing education courses it became apparent to Dr Daar that this appliance wasn’t doing his patients a true service. 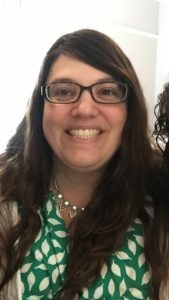 ” I soon realized that helping a patient quit snoring with an appliance without testing for Sleep Apnea was like turning off a smoke alarm while the fire was still roaring. Snoring in most cases was an outward sign that a patient was suffering from some degree of the life threatening disease Sleep Apnea . From that day on we no longer randomly made snoring mouthpieces”. 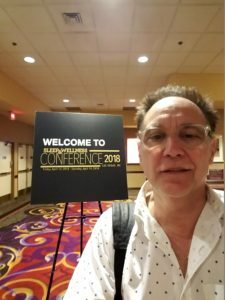 Wishing to learn more about Sleep Breathing Disorders Dr Daar and his staff began focusing their continuing education on courses to understand, screen, and treat Sleep Apnea. 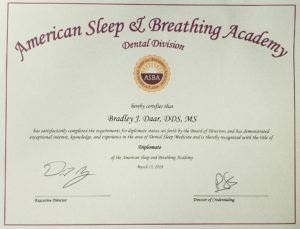 Dr Daar actualy attended his first Sleep Apnea course for Dentistry at Tufts University in 1996!! 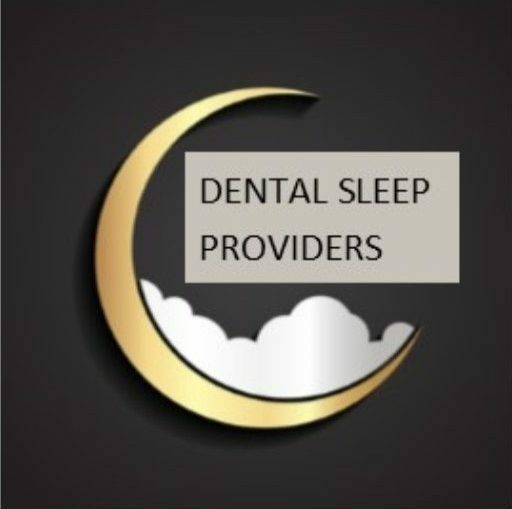 Dr Daar joined the two major Dental Sleep Disorder organizations and followed them closely. He brought in experts to train his team both at seminars and in the office. Dr Daar and his team continually make the effort to visit Sleep Study Centers throughout the area to better understand their needs. Dr Daar also makes a point of meeting with the affiliated Sleep Doctors to make sure that everyone is on the same page. It takes a team effort to treat a Sleep Apnea patient. Recognizing that possibly a third (33%) of the population suffers from some degree of Sleep Apnea, it became standard protocol to screen all patients in the Dental office .The investment was made to purchase the technology needed to screen and fabricate the best oral medical device possible for treating sleep apnea. Those patients that appeared to have the disease were then referred to a Sleep Specialist for polysomnograhy (Sleep Study) or in limited cases given a home Sleep study through our office. Soon sleep and snoring treatment was a part of every days schedule. Within a short time physicians, sleep Doctors and other patients were seeking us out for treatment. To better serve the needs of these patients, we have opened an office dedicated to treating Sleep Apnea and Snoring issues. This new facility will screen for Sleep Apnea and refer out when indicated. In addition it will be the site where we can use our technology and equipment to fit our patients with effective oral appliances . We then confirm that our appliance is creating a healthier situation using home sleep study to evaluate the results. We can then refer the patient back to the referring Physician and Sleep MD. We share our progress all along the way with the patients Doctors in order to guarantee the best treatment possible. Dr Daar has been practicing Dentistry in Manchester Connecticut since 1982. He has a satellite practice in Old Saybrook, Connecticut since 2012. His interest in Sleep Apnea and Sleep Breathing disorders has changed the direction of his practice. His goal is to primarily focus on screening and treating Sleep Apnea patients with Oral Appliances. Dr Daar recently opened an office space in Manchester dedicated to treating only Sleep Apnea and Snoring patients. Certification as a Sleep center is in the process. Dr Daar is a Qualified Dentist of the American Academy of Sleep Medicine and a Diplomate of the American Academy of Sleep and Breathing. Lorraine is a trained Dental Assistant with a strong interest in treating patients with Sleep Apnea. She visits most of the Sleep Centers we work with in order to maintain a good relationship, and provide our patients with personal care. She has attended continuing education courses in Sleep Apnea and its treatment. In addition she is trained to perform diagnostic breathing tests using the Pharyngometer and Rhinometer. She works along side Dr Daar throughout the course of treatment. Kim has over 25 years helping patients with their Medical (Dental ) insurance. Kim handles the predetermination of benefits and claims , making sure you get the most out of your insurance. She will follow through on each aspect of your treatment from consultation to follow ups after delivery of your appliance. She also can guide you to your best payment choices and financing options. Kim attends continuing education in both Sleep Apnea and Medical billing to insure that she understands your needs. We are here to guide you to a healthy and happy sleep. Come in for a free consultation if you are looking for more information. Make an appointment if you are ready to seek our services and make an appliance for you.